When you have saved your photo mosaic to your computer, you are the owner of the file. After that you can print your mosaic anywhere you like, for example at your local printshop. To download your mosaic in a high resolution, you need an XL-code or XXL-code. Under here you will find the maximum printsizes. The maximum printsize also depends on what dpi the printing company uses to print. Most modern digital printing companies use 150 dpi. 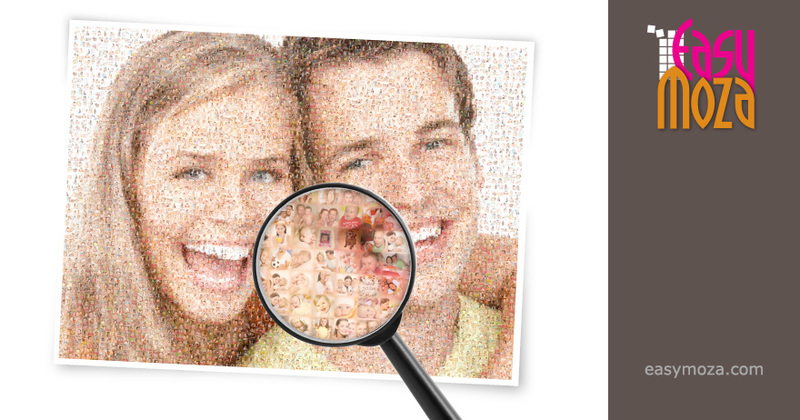 TIP: If you are going to print your mosaic, print it big so you can see the small images well. For example if your main image has a ratio of 4:3 we advice a printsize of 120cm by 90cm. If you want to print smaller you can adjust the settings (when sellecting a main image) to use less tiles.